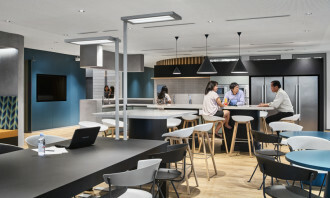 Citi recently unveiled Citi Works, its new global workplace strategy, at its Changi Citi Service Centre in Singapore, showcasing a refreshed and a more connected environment for its employees. 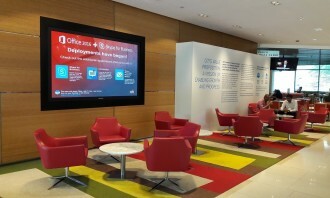 Established since 2013, Citi’s new workplace strategy aligns with its business strategy with the office space. Enabled by technology, Citi Works aims to empower staff with flexibility and choice of different settings based on their work activity to achiever increased productivity and staff satisfaction. 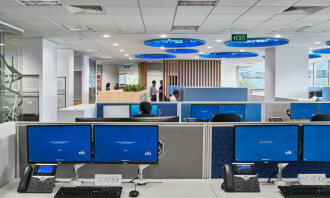 To date, Citi has delivered close to 20,000 Citi Works seats across Asia Pacific, and results from recent surveys were overwhelmingly positive with over 80% of staff confirming that they are equally or more productive in these new environments. Unassigned seating arrangement which enables employees to choose where they perform their work tasks according to individual and business needs. A purposefully designed office floor layout to provide choice and catering to different work styles. 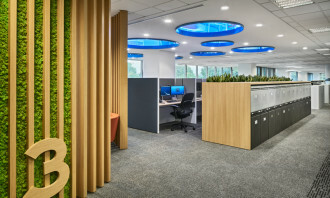 This includes a selection of privacy pods for those who need to do quiet work, as well as team tables and large work benches for group discussions. A range of ergonomic furniture such as sit-stand desks with height-adjusting functions to enable staff to alternate between sitting and standing postures. 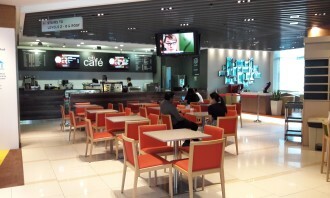 Various choice spaces such as Enclosed Touchdown, Open Touchdown, Huddle Room, Open Team and Work Café with leisure game tables such as Fusbal and Ping-Pong. A central waste strategy that supports Citi’s recycling efforts. A sky garden, which will be completed in November 2017, to connect the two towers and provide an alternative work setting for employees to collaborate and mingle. 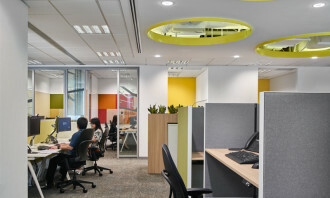 In line with the launch of Citi Works, Human Resources spoke to Jorge Osorio, head of human resources, Citi Singapore, to uncover the reason behind this new workplace strategy, find out why innovative and interactive workplaces help productivity, as well as gain a few tips on how to redesign a workspace. Here’s what he has to say. 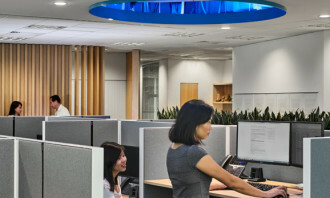 Citi is committed to the wellness and development of our employees and we constantly seek to provide a more collaborative and dynamic work environment that enables different teams to share ideas and engage with one another. 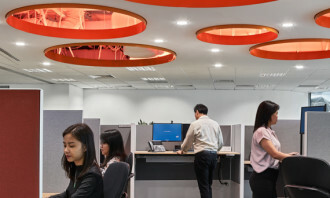 At the same time, we recognise the importance of creating an agile and activity-based work space supported by state-of-the-art technology, which truly reflects how people work today and will appeal to and retain the next generation workforce. 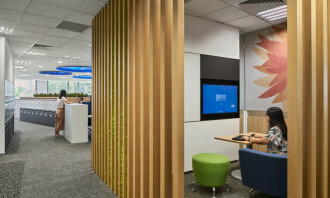 In Singapore, we recently unveiled Citi Works at our Changi Citi Service Centre, providing employees with a rich variety of work settings and collaborative environments, enabled with Wi-Fi and audio/video conferencing capabilities. Having a collaborative work space also helps to bolster other Citi initiatives such as wellness, diversity, and inclusion. When you have an interactive office space, you are creating a whole new dynamic in the workplace. 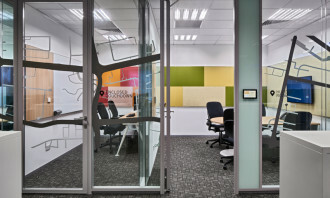 A workplace environment that is conducive for collaboration and allows interactivity, energises everyone. I truly believe that people who are well supported and more in control of where and how they work, feel safer and more engaged. This encourages team cohesion and at the same time stronger working dynamics. Redecorating an office space isn’t simply about creating work environments with better ergonomics or more comfort. It involves many aspects of an organisation’s culture, from making sure people understand what their job is and having a sense of purpose, to providing the right space, tools and resources that complements those aspects. Additionally, understanding how teams work amongst themselves and with others is critical as it enables us to create a more effective space for employees – in this case, one that is fluid and encourages collaboration. 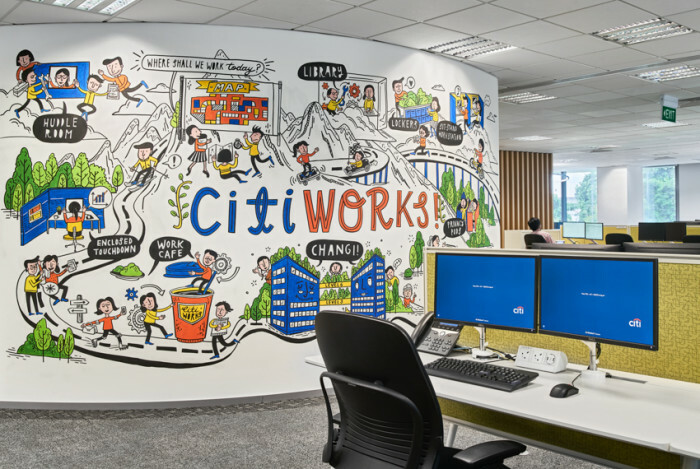 Citi Works, for example, was designed to support diverse work styles and collaboration based on feedback provided by our employees. We have a selection of privacy pods for those who need to do quiet work, several team tables and large work benches for group discussions, as well as leisure game tables for employees to take a break and recharge. 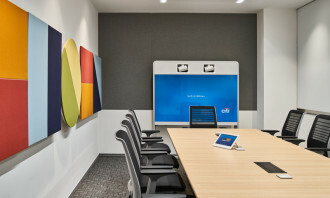 Scroll through the gallery to check out more photos of Citi’s office.